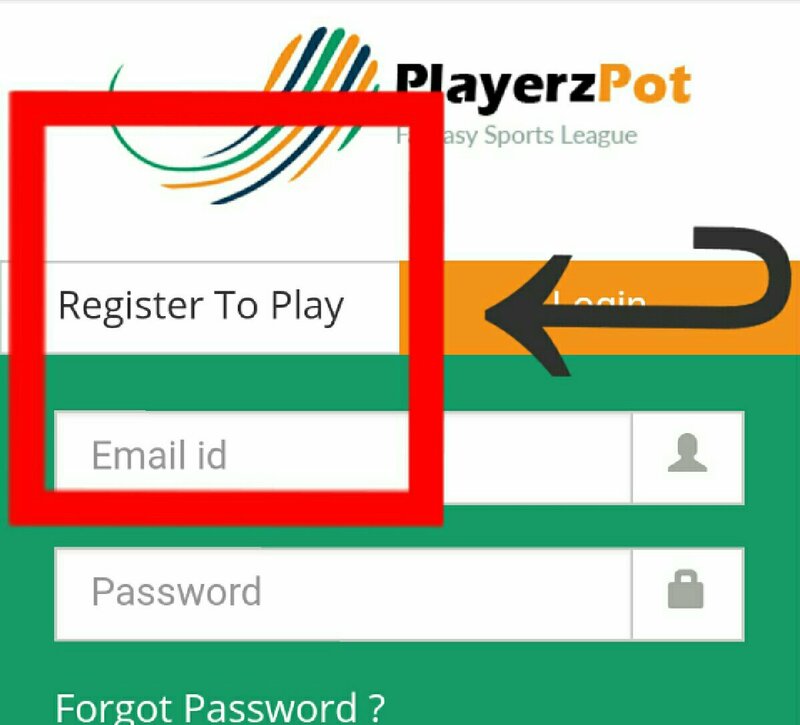 PlayerzPot Referral Code: Hello friends, I hope you all loved to play Fantasy game, 2 days ago I shared a fantastic site Fanmojo, many user can also lot of paytm cash by this site. 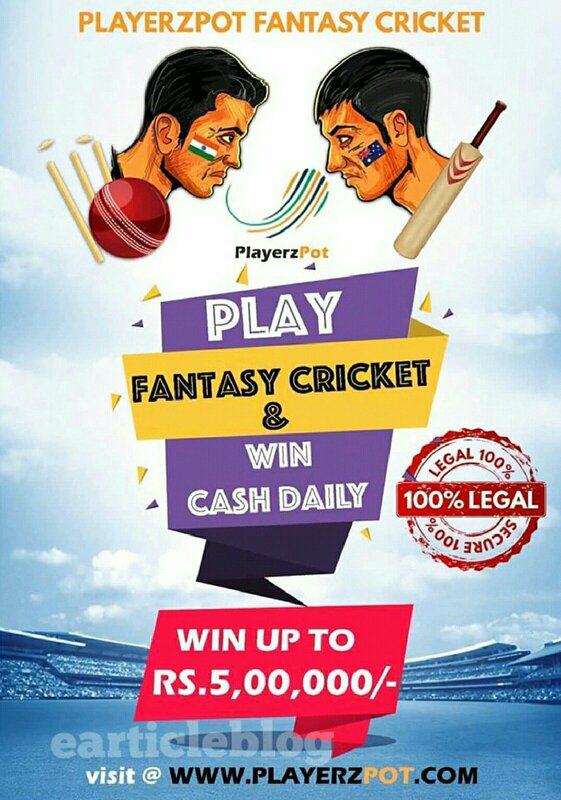 You also know about the dream 11, halaplay, fanfight, I hope many users are also playing in these sites, but unfortunately some people can able to win in these sites, there is less probable to win in these sites because of huge people are playing in these sites, some experts are also playing due to which there is more competition. So today we share one of the best fantasy sites for our user, I surely say if you play in this site you can win mostly. It is a Fantasy sports website where you can use your sports knowledge to earn some real cash prizes and gifts. PlayerzPot is 100% Legal and secure. So play in playerzpot and win more. There is no verification process of pan card. Instantly transfer your winning in paytm wallet. You can win easily there is no tough competition than dream11. Refer and earn more, Get a 10% bonus of entry fee of pot made by your referral lifetime. You can also play kabaddi league. Note- some time site get slow due to high demand, then try after some time if you face a problem. 2) Now connect using Google (Gmail)/facebook. 3) After connection select your country, state, and enter your mobile no. 5) Now click cricket options, finally, you complete your signup process. ⚪If you face some problems to register using this step then follow this step. 1) After open playerzpot site. 2) Select the ‘Register To Play’. 6) Verify your account by click on the verification link. 7) Now login with your email and password and select cricket options. ⚪ After complete signup process, you get your sign up bonus (Rs.10) instantly. 1) – Select a match and then it will redirect you to create Squad page once you clicked on create Squad. 2) – Select your Fantasy Squad of 11 Players (including a Star Player and Captain) within the virtual budget of 1000 Gems from all the Players in the particular match. 3) – Join Paid or Free Pots of your choice. Paid Pots let you win Cash and require an entry fee. 4) – Once the Live match starts, your Fantasy Squad starts earning points on the basis of actual performance of the Players selected by you. Final points, rankings, and winners are declared after the end of the match. ⚪You can also create your own Pots (league) like dream11. Minimum 3 to a maximum of 5 Batsman. Min. 3 to Maximum 5 Bowlers. Or Minimum 1 to Maximum 3 All-Rounders. 1 Wicket Keeper. Maximum 7 players from a single team can be selected. The total value of your initial squad must be less than or equal to 1000 gems. You can create your squad of 11 players from both teams competing against each other. One of the best features in playerzpot is ‘Refer and Earn’, you can win up to 500000 (5 lakhs) by per friends. Once a new user Signups using your referral code, then whenever he joins a public pot, after completion of that match you get 10% of the amount user invested to join the public pot for rest of your life. 1) Click on the Refer button on top of your screen. 2) Share it with your friends. 3) If a new user uses your provided link or Referral code during Signup then he is considered as your Referred user. 4) Now, whenever the user referred by you join a public pot after the match is completed you get 10% of the amount invested by the referred friends. ⚪You can make an infinite amount of referrals. ⚪On top of the screen click on refer and there you can get your referral code. ⚪Refered person gets a bonus Rs 10. One you win minimum Rs.150 you able to withdraw it in paytm. 1) First Select three dot options in a dashboard. 2) Now select the ‘wallet’ option. 3) There you can see your earned cash, now select withdraw options. 4) Enter the amount which you want to withdraw. ⚪You cannot withdraw your bonus and deposit amount. ⚪ Receive the withdrawal amount to your registered PayTM number. ⚪You have to submit bank details if you want to withdraw in a bank account. 1) This game is strictly for users who are at least 18 years of age. 2) When users play with multiple ids or use his/her own referral link to create multiple accounts, we deactivate the referred accounts. 3) You can make changes to your squad before the pot is locked. 4) If your player is injured during the match so from the time he is injured till his return on the ground for that same match no points will be allotted to that Player. 5) At maximum, you can join the same pot three times using three different squads.